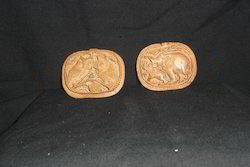 Prominent & Leading 100% Export Oriented Unit from Jaipur, we offer sandalwood pendants, sandal wood pendants, sandalwood elephant pendants, sandalwood chain pendants, sandalwood pendant and sandalwood rose pendants. 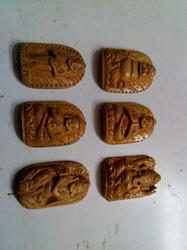 We are one-step ahead of our competitors in manufacturing a designer range of Sandalwood Pendants. These are creatively designed using best quality sandal wood sourced from trustworthy vendors of the industry. These stylish range of our pendants are available in various attractive designs, styles, finish and patterns. Our pendants are very fashionable in appeal and offered at reasonable rates. 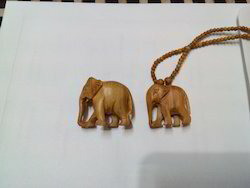 We are highly acknowledged organization in the domain, engaged in offering high quality range of Sandalwood Elephant Pendants that is carved in various shapes. This elephant is designed as per the latest market trend using high grade wood and other related material under the guidance of skilled professionals. The offered elephant is available in numerous sizes, patterns and colors in order to meet the diverse needs of the clients. Apart from this, it is highly demanded and appreciated by our esteemed clients.